Andy Quin was born in London and began playing piano at 4 years of age and organ at 8. Having been a childhood fan of Sidney Torch, Andy began his organ playing career on the famous Christie at the Regal, Edmonton and was also mentored by Joseph Seal. Having played many cinema organs and given numerous concerts in the southeast and London as a child, Andy's focus moved more towards composing than performing. He turned down a scholarship to the RCM and went on to study for a degree in Music and Electronics at Keele University. Andy continued his studies on classical organ as well as performing summer seasons in various hotels, clubs, pubs and holiday parks to earn money when he was a schoolboy and student. After graduating he started composing music for TV and Film and his internationally successful career as a composer really took off in 1984. Robert "Bob" Ralston was born 1938 in San Bernardino County, California. Bob Ralston is probably best known for his 47 years as pianist/organist/arranger with the Lawrence Welk Orchestra. In addition to his concerts for the American Theatre Organ Society (ATOS), he continues to work as a pianist, show producer, arranger, conductor, composer, teacher, and recording artist. From 1996 to 2000, Bob demonstrated his talent for hosting when he produced and anchored the "Gee Dad! It's a WurliTzer!" radio show. Harold Arthur Ramsay was born Aug 1901 in Great Yarmouth, England. He moved to Calgary aged 10, studying music at Mount Royal College and becoming organist of Hillhurst United Church at 13 and of Knox United Church at 15. After training with Lynnwood Farnam in New York in the early 1920s he was a vocal coach for Paramount Studios in New York and Hollywood and organist at Broadway's Rivoli Theater. In 1932 he moved back to England, where he became a leading theatre organist, performing on some 1000 BBC broadcasts, appearing weekly at London's Granada Theatre, and touring with his Rhythm SO, Eight-Piano SO, and the revue Radio Rodeo. His signature tune was the theme from Gershwin's Rhapsody in Blue. In 1950 he returned to Calgary, where he was organist-choirmaster at Wesley United Church until 1971. He was the founder of the Calgary Choral Society, and director and teacher of voice and organ at Mount Royal College Cons. His songs were published by Boosey & Hawkes, Chappell, and others. His 'Britain, Remember!' became a Royal Air Force theme during World War II, and Rodeo March was adopted as the theme song of the Calgary Stampede. 1934 broadcast from the Granada, Tooting. Harold Ramsay died 29 Jan 1976 at Salmon Arm, near Kamloops, BC. From 1931 to 1932 played at the Astoria, Brixton. In 1937 Charles Randolph was playing at the Odeon, Weston-Super-Mare. 1939 he was at the Regal, Rotherham. In 1961 he was playing at the Queens Hotel, Rawmarsh, Rotherham. He was touring the organ circuit with a Hammond in 1962. Donnie Rankin was introduced to the theatre organ at the age of three. He often tried playing his grandfather’s home organ, then in 2000 his own organ was bought and tuition began. Two years of home organ lessons and then on to classical piano by 2005. Winning the title of ‘The American Theatre Organ Society’s Young Theatre Organist of the Year’ in 2007, Donnie began studying theatre organ in earnest under the tutelage of Jelani Eddington. Since then he has performed all across the country on numerous occasions. Edmund Felton Rapley was born 1st October 1907. He was a chorister of Winchester Cathedral. A pianist, theatre and church organist and choirmaster. He was church organist in Gosport, 1929-1946 and between 1946-1948 was organist and music supervisor of Gaumont British Picture Co., On the 11th February 1929 he inaugurated the new Wurlitzer at the Regent Theatre in Hanley. Between 1940-1945 he served with the RAF. He was cinema organist in Epsom Surrey between 1948-1965 and organist/choirmaster of Epsom Parish Church, in 1948 he was conductor of the Hendon and Leatherhead Operatic Societies. In 1949 he toured America. From 1949 to 1967 editor for music publisher Chappell, writing and publishing under the pseudonym of Peter Barrington. In 1968 retired, he died 8th May 1976 at Royal Hampshire County Hospital in Winchester. Frank Ratcliffe opened the Roxy Cinema, Swinton. Playing a Clavorchester. In 1922 he was playing at the Victory Palace, Sheffield. In 1932 he opened the Gaumont Palace Theatre, Peckham. Douglas James Reeve was a real Brightonian, He was born in the Lanes, Brighton 7th January 1918. His potential as a musician was spotted at an early age and piano tuition was arranged. Aged 14, Reeve was appointed Assistant to H.G. Goddard at the Savoy Cinema in Brighton, and while there was spotted by the BBC staff organist Reginald Foort when visiting the Regent cinema in the town. Reeve was immediately engaged as a "Wonder Boy Organist". Dressed in an Eton collar and what he described as a "bumfreezer " jacket, Reeve toured the UK for County Cinemas. From the beginning of 1936, he played for variety acts at the Regal and Orpheum cinemas in Golders Green, sometimes appearing at the organ in a solo spot. From the end of 1938, variety ceased at both theatres and Reeve performed organ interludes up to the outbreak of the Second World War, following which he spent a short spell as a manager for County Cinemas. In 1940 he joined the Army and later that year, by candlelight (there was a power cut), married a singer, and the youngest member of the ATS, Joyce Jackson. Invalided from the Army in 1941, Reeve returned to Brighton and, aware that the superb dual-purpose organ at the Dome concert hall was not getting much use, he approached the authorities with the idea of playing it for dancing, as the Dome had been converted into a dance hall for the local forces. His idea was so successful and Reeve was so popular, that he was appointed Borough Organist, a position he held for more than 50 years. His name soon became synonymous with that of the Brighton Dome and the Christie organ there. His Pack Up Your Troubles concerts were the high spot in the weekly Tuesday at the Dome variety shows. The latter ran for 1,600 performances and eaned Reeve a place in the Guinness Book of Records. In the 1950s, Reeve was appointed manager of the Dome and Corn Exchange for Brighton Corporation, and in 1977 he became Assistant Director of the Resort and Conference Department at Brighton; in effect, being responsible for all indoor entertainment in the town. Finding that he had little time for his music, he retired from that position in 1979, but continued as Borough Organist and producer of Tuesday at the Dome. Throughout his life, Reeve was a prolific broadcaster. He made his first broadcast at the age of 18, in 1937. In 1937 broadcast from the Forum Cinema, Southampton 1946 working for Associated British. Listeners to the West Regional programme will hear Alfred Richards at the organ of rho Odeon Theatres Weston-Super-Mare, this evening, at 6.30. He began the study of music at the age of five and was trained as a pianist and church organist. He was solo organist to the Gaumont British Picture Corporation at three of their theatres in London until the early part of 1933. Before going to the Odeon Theatre, West-super-Mare, he was organist at the Gaumont Palace, Wolverhampton. Alfred Richards began the study of music at the age of five and was trained as a pianist and church organist. He opened the Odeon, Swiss Cottage and the Odeon Weston-super-Mare. He composed the song 'Around the corner at the Odeon' in honour of his appointment. Robin Richmond was born in Queens Gate, London on 21st April 1912, the son of a doctor. Robin became interested in the organ while at Westminster School. Advancing to London University to study law, Richmond failed his exams three times before finally giving up. He decided to turn his hobby into his full-time job. Richmond's earliest employment, however, was as organist at the Lambeth Mission Hall. The hall showed silent films during the week and held services all day on Sunday. The job did not last for long; the minister sacked him for using drum-style percussion whilst accompanying the hymns. Richmond now concentrated on popular dance music. His first West End appearance was in the stage revue It's in the Bag (1935) which was so devised that he had two special scenes created around his "organantics", a slang term coined around that time. In 1936 he joined the cast of Radio Pie, a touring revue starring the Two Leslies. Leslie Sarony (1897 - 1985) and Leslie Holmes. A variety double act. In November 1936 they created the occasional comedy series entitled Radio Pie. Devised by Sarony. The series featured well-known variety performers including Tommy Handley and Anne Ziegler. It proved to be so popular a stage version toured Britain in 1939. In 1937 Richmond travelled to Holland to play the organ at the Palais de Danse, Scheveningen in support of the famous American black dance band led by Benny Carter. Returning home he made his first radio broadcast in the BBC's popular old time music-hall series Palace of Varieties (1938). The war began, and Richmond volunteered for the Navy. Rejected for reasons of health, he was appointed organist at the Paramount cinema in Tottenham Court Road. Like several similar West End venues, this was bombed. He remained organist at the Paramount until March 1946, then crossed over to the Gaumont-British cinema circuit travelling around London and its outskirts playing musical interludes between the films. The Fifties brought better times. Richmond supported Robert Moreton, known as "The Bumper Fun Book" comedian, in the radio series Bumblethorpe (1951). The longest-lasting tribute to Robin Richmond is the radio series The Organist Entertains, which he created in the post-war Forties and which can still be heard on the air every week to this day. Robin Richmond died 27th July 1998. Rosa Rio was born Elizabeth Raub on June 2nd 1902 in New Orleans. Rosa began playing piano at the age of four and started taking lessons at the age of eight. At age nine she played piano at a silent movie theatre for the first time. She studied music at Oberlin College and at the Eastman School of Music. Her instrument of choice was a Wurlitzer pipe organ. As a theatre organist, Rosa Rio performed in Syracuse, at Loews theatres in New York City, at the Saenger Southeastern theater chain, the Scranton Paramount, Brooklyn Fox Theatre, RKO Albee, and the Brooklyn Paramount. Known as 'Queen of the Soaps,' Rosa worked for 22 years in radio, providing the organ background music for 24 radio soap operas and radio dramas, and playing an average of five to seven shows per day. Rosa Rio made a smooth transition into television, playing for shows such as As the World Turns and the Today Show. However, compared to radio, television offered fewer opportunities for work. Rio later moved to Connecticut, where she opened a music school with classes in voice, organ and piano. During the 1980s, she provided scores and Hammond organ accompaniment to more than 370 silent films released on video by Video Yesteryear. In 1993, Rio moved to Hillsborough County in Florida, where she played accompaniment to silent films at the Tampa Theatre. It was from the stage of the Tampa Theatre in 2007 that she first publicly gave her real age, which she had kept to herself for decades due to age discrimination dating back to her network radio years. Because Rio never celebrated birthdays, some of her family members were not aware of her age until the night before her Tampa Theatre 'confession.' She celebrated her 107th birthday in June 2009. Rosa Rio died on May 13th 2010, three weeks short of her 108th birthday. C. Burt Ritter was born March 1st 1909 in London. Educated at the London Guildhall School of Music under Dr.
Davan Etton Dr Henry Davan Wetton. Herbert Hodge Herbert Hodge F.R.C.O., A.R.C.M. Burt was organist and choirmaster at several London churches before taking up the theatre organ in 1936. His first appointment was the Empress, Hackney. He then joined Associated British Cinemas, both as organist and manager. Moved as organist to the Ritz, Oxford, then back to London at the Savoy, Stoke Newington. Burt left A.B.C. and joined Gaumont Super Cinemas, he was organist-house manager at the Regal, Edmonton and Troxy, Stepney. He then transferred to the Trocette, Bermondsey as organist-manager. In 1943 he left Gaumont to join Odeon. Re-opened the Ritz, Nottingham and stayed there for two years before being transferred to the Astoria, Finsbury Park in April 1945. In 1946 was touring Odeon cinemas in the Southern area with his base at the Odeon, Southampton. A native of Durham, Elton Roberts studied originally as a pianist. Becoming Interested In the organ, however, he took a post as organist at the Parish Church. Hunwick. Opened the Astoria Theatre, Old Kent Road. Paul Roberts was born in Warrington, UK in 1960. In his formative years, he studied the piano, classical organ and clarinet. Whilst reading Economic History at Liverpool University he also successfully completed several music diplomas. His tutors have included Noel Rawsthorne and Arthur Hutchings. For well over thirty years Paul has been a consistently prominent name in the keyboard world. A regular broadcaster in the U.K. (including the BBC) and internationally, Paul has also appeared on TV in the U.K. and the USA and has been a prolific writer for music journals. Stephen Robinson was organist at the Kings Cinema, Dundee when in September 1934, following an afternoon performance, he collapsed and died. Bryan studied the classical piano at an early age and then he moved on to the organ,Bryan's future changed when he came into contact with theatre organist Charles Saxby, who was responsible for encouraging Bryan to consider playing the theatre organ. He made his debut performance at the age of just 10 years of age. He had the rare talent of being comfortable playing either pipe or electronic organ. Bryan's early career was on theatre organ. He was employed to play for the ABC Cinema chain at The Ritz in Hereford and also at The Granada in Clapham, London. It was during this time that he made a number of recordings and broadcasts. Leslie J. Rogers opened the New Victoria Theatre, Preston. Ronald Rogers was born 4th September 1910. In 1941 was employed by Southern Command Entertainments, became N.C.O. in command of the Unit Dance Band and director of the unit pit orchestra. Prior to joining the Army played at the Majestic, High Wycombe; Majestic and Capitol, Wembley and Majestic, Staines. He toured County Cinemas and was at the Regal, Wimbledon when called up for National Service. Mr DEREK RONALD, organist at the Odeon Cinema, is used to travelling, for travelling daily to and from his home at Southampton he covers about 36,000 miles a year. But it looks as though he Is likely to exceed even that mileage in the future, for at the end of next week Worthing says good-bye to him and he goes on tour. This is the result of a new policy on the part of Odeon Theatres, Ltd., who are only retaining four organists to tour their whole circuit. Llandudno, London, Winchester and Portsmouth, but his work at Worthing justifies the choice. During his three years at Worthing Mr Ronald has proved himself a first class musician capable of adapting himself to every type of audience, and his topical Interludes have been immensely popular. That opinion is shared by others, as instanced by his broadcasts on the B.B.C. theatre organ and the considerable amount of recital work he has done. In future Mr Ronald will probably be playing at the Odeon. Worthing, about one week In every four months and there is little doubt that his return visits will be looked forward to eagerly by his many admirers here. By the way, it is probable that Derek Ronald will keep in mind his affection for us in a very practical manner by making "Sussex by the Sea" his signature tune when lie visits the "Furriners." Derek Ronald was resident organist playing the Christie Theatre organ at the Granada Theatre, Dover. In 1927 opened the Picture House, Balham. In 1932 re-opened the Compton at the Rialto, Leytonstone 1946 working for Associated British. Miss Frances Ross was born in Leicester but made her name as a theatre organist in America. Playing her first Wurlitzer organ in Boston she went on to work for the Paramount organisation playing in many of their cinemas. Miss Ross was a talented musician playing piano and conducting orchestras as well as playing the organ. theatres and was for a time resident at the Nottingham Hippodrome. In February 1931 she was appointed resident at City Cinema, Leicester. Robert Balfour-Rowley left college as an electronic engineer, and moved into organ building shortly afterwards. He started his career working on theatre organs. Robert took the opportunity to join Harrison and Harrison Organ Builders in 2009, working on large installations such as Bury St Edmunds Cathedral, Westminster Central Hall, and Holy Trinity, Sloane Street. He joined the London tuning team, and eventually took over primary responsibility for tuning such organs as those in The Royal Festival Hall and Westminster Abbey. Geofrey Roy was born 11th Jun 1925 in Willaston, Crewe. During the war was employed in L.M.S. railway works, Crewe, but appeared intermittently in the North, including appearing at the Tower Ballroom, Blackpool. In 1942 gave a solo recital at Wrenbury Parish Church that raised £4 7 shillings. opened the Strand Cinema, (Essoldo) Southend on Sea in 1928. 1939 organist at Heston Church. As prescribed 'Mini' programme at ABC Plymouth Compton. At the ABC Theatre, Plymouth. William Dudley Savage was born on March 20 1920 at Gulval, near Penzance, where his mother played the organ in the village church. He studied under organists at Truro Cathedral and with musicians in Cornwall and Plymouth, and at 16 won the organ solo event at the Cornish Music Festival. , Dudley toured England as the 'Cornish Boy Organist' in 1936-37. He made his first broadcast, for Radio Normandy, in 1936, and for the BBC the following year. In 1938 he was chosen as the organist for ABC's Royal Cinema in Plymouth. After being called up in 1940 Savage served as a captain in the Indian Army and broadcast on All India Radio, returning to Britain and resuming his career at the Royal in 1946. Savage broadcast his hospital request show called As Prescribed on the BBC's West of England Home Service broadcasting weekly in June 1948, and carried on until 1968. When the BBC dropped the program, listeners complained in such numbers that the show was hastily reinstated, eventually running until 1979. Savage also undertook concert tours of Britain and Europe and regularly toured the West Country with his Hammond organ. He also presented occasional editions of Song of Praise. For many years played Hammond organ on the Lido Sun Terrace, Cliftonville, Margate. In the evenings he played at the Jamaica Inn where he was assisted by his son Jason on drums.
' at the Redgrave Theatre, Farnham. Lafontaine prize Awarded to the candidate gaining the highest marks in the Practical Examination. Turpin prize Awarded to the candidate gaining the second highest marks in the Practical Examination. at the Royal College of Organists. Played at the Capitol Theatre, London and Kensington Cinema, London. Tim Schramm is a native of Rochester, NY. He started playing the piano at the age of five. At the age of 10 he was introduced to the Mighty Wurlitzer at the Auditorium Theatre in Rochester and it was love at first sight. Since that time the organ has become his passion. Tim played his first church service at the age of 11. Since then he has played for church services, weddings, funerals, organ dedications and theatre organ concerts. The piano and organ have always been a huge part of Tim's life. He started his career playing for a Buffalo, NY group called The Harmonaires Gospel Quartet when he was just 13 years old. They performed in churches all across the Northeast playing southern gospel music. After high school Tim found himself in piano and organ sales. While in sales he would gig on the side. He has since left retail altogether and now makes his living as a full time musician. For the past fifteen years Tim has held the position of Accompanist for the Rochester City School District and for 10 years he was the Principal Accompanist for the Rochester Gay Men's Chorus. He is frequently hired to play the 4 manual Aeolian pipe organ at the George Eastman House International Museum of Photography and Film and is extremely proud to have been named organist for the Walnut Hill Carriage Driving Competition in Pittsford, New York. Tim is the Director of Music Ministries at St. Michael's Roman Catholic Church in Newark, NY. 1939 - 1942 Playing at the Regal, Uxbridge 1946 working for Associated British. Jack Scott was born 1st February 1902 in Dunfermline, Scotland. Studied cinema organ under Emile Valexco the chief organist at the Roxy Theatre, New York. Jack held appointments with Warner Fabian, New Jersey, U.S.A.; Bratter And Pollacks Million Dollar Theatre, Rahway, New Jersey & Lozells Picture House, Birmingham. He opened the Wurlitzer organ at the Plaza, Johannesburg, South Africa. Toured the Union for African Consolidated Theatres for six years, broadcasting regularly from Johannesburg and Cape Town. On his return from South Africa he was appointed to the Regent Theatre, Poole where he remained until the outbreak of war, when he was drafted into the war plants and was employed throughout the war. b>Jonathan Scott was born in Manchester, he studied piano and organ at Chetham's School of Music before gaining a scholarship on both instruments to attend the Royal Northern College of Music (RNCM). With the aid of a Countess of Munster Scholarship he was able to continue his studies in USA and Holland. Jonathan won the coveted Worshipful Company of Musicians WT Best Scholarship and gold medal, and is a Freeman of The City of London. He has been a member of the keyboard staff at RNCM since 2001 and is also Associate Artist of the Bridgewater Hall, Manchester where he gives a series of popular lunchtime organ recitals which attract audiences approaching 1000.
b>Joseph Seal was born in Darwen, Lancs. He started piano lessons at the age of six and was appointed organist at St. Cuthberts Church, Darwen at the age of thirteen. Other church appointments included All Saints Church and St Peters Church, Blackburn. At the age of nineteen he was appointed organist at the Regal Cinema, Altrincham. He made broadcasts on the Christie organ at Lonsdale Cinema, Carlisle, on the B.B.C. organ at St. Georges Hall and during the war years did a request show for Ulstermen serving overseas called 'This is for you'. Hubert Selby was born in Ipswich, Suffolk in 1911. He studied piano and music theory with Mrs. Milto Rose and Theatre Organ with Frank Newman. 1938 Solo organist for Odeon Theatres. 1939 Resident and broadcasting organist for Paramount theatre Manchester. On Demob took residency at Ritz Cinema Ipswich, Broadcasting regularly during this time. When such a man-as George Senior has recently been solo organist for such fabulous stars as David Whitfield, Dickie Valentine, Johnny Ray, Cogan and Ruby Murray, one might dare to wonder why he should leave the undoubted glamour the big cities and come to the small, seaside town Leven. Mr Senior, a Yorkshireman, and our Pavilion Personality this week explained it as being "a change," and an opportunity to get away from the hustle and bustle of city life which he has been experiencing for most of his twenty-one years the entertainment business. Mr. Senior has been playing his own Hammond organ for many years now. Coincidence is that his full name is George Hammond Senior-and he has his birth certificate to prove it! His is a "local boy makes good" story. He worked for two years down a coal mine learning surveying at Rotherham Main Colliery but didn't like It much. In his spare tune he tinkled about at the piano and then, at the age 18, started to learn play the organ. He became organist and choirmaster at Parkgate Congregational Church and held this position for 15 years until he was offered a job as organist at the Regal Cinema Rotherham. In those days the organ provided an interlude tunes lust before the main feature film. George Senior continued in this role for many years, travelling all over England and winning the hearts of audiences wherever he went. For he loves work, "I thrive on it," he told the 'Mail' last week, "and I am getting plenty it Just now with rehearsals and a change of show every week. But I'm not complaining." Recently Mr Senior has been extremely busy man. He had four years as organist-compere for well-known impresario. Jack Payne two years as organist-compere at the swimming stadium, Morecambe, and two years as orchestral and solo organist at the New Royal Theatre, Bournemouth. It was at the New Royal that George had the good: fortune to meet some of Britain's singing stars, and be made personal solo arrangements for their acts. And he Is stranger to radio listeners. "At Bournemouth I broadcast three times," he continued, "and have also broadcast many solo dates from the Gaumont Palace, Cheltenham, the Regent Theatre. Poole, and the Westover Cinema. Bournemouth. " 1942, Mr Senior had the honour of playing at the famous Tower Ballroom, Blackpool, on six occasions. Strangely enough, the famous organist. Reginald Dixon was born quite near Mr Senior, and they met while in the Air Force. He has also been on T.V. and newsreels. This occurred when' he was organist and compere last year at Morecambe Stadium when a £1.000 bathing beauty competition run by a National Sunday newspaper, was running. He was seen on the newsreel playing while the Judging was going on. And last August, while appearing In "Blackpool Night" from Norbreck Hydro with the company from "Aqua Cascades.' George came under the discriminating eyes of T.V, viewers. When Fraser Neil asked Mr Senior to come and take part in one of his summer shows, he wondered why he had never, been given an audition. Quizzing Mr Neil on this point. George got the reply, "You were recommended by Jack Payne." No more needed to said than that. And George would like to ask the people of Leven that if they have any request they would like hear him play on his 'interval Solo Spot,' they should drop him tine and he will be most pleased to do so. George Hammond Senior was born 7th April 1911 in Rawmarsh, South Yorkshire. George worked for two years down a coal mine learning surveying but didn’t like It much. In his spare time he tinkled about at the piano and then, at the age of eighteen, started to learn to play the organ, became organist and choirmaster at Parkgate Congregational Church and held this position for 15 years until he was offered a job as organist at the Regal Cinema Rotherham. His first solo appointment was at the Pavilion, Hoddesdon. He stayed there for two years. Other appointments included: Majestic, Reigate; Ritz, Hereford; Ritz, Wokington; Ritz, Aldershot; Ritz, Woking; Regent, Poole (made three broadcasts from here in 1946) and in 1946 Gaumont Palace, Cheltenham Spa. Norman Shann made a number of radio broadcasts, these included, 1936 the Regal, Rotherham. 1937 the Regal Cinema, Chesterfield and in October 1938 the Regal Cinema, Harrogate. His signature tune was Fall in and Follow Me. Brian became a nationwide star keyboard player, featuring regularly on the Charlie Chester radio show and later on BBC TV's Pebble Mill at One program. In 2004 Brian Sharp was presented with a Life Time Achievement Award at the British Player Awards held at the Lyme Bay Keyboard Experience in Devon. Gerald Francis Shaw was born 15th April 1911. Gerald started his musical career early, playing a tin piano at 2½, moving on to the family Steinway at 3. At the age of 4 gave his first public performance. (a concert for wounded soldiers). In 1926 he moved to the Saffron Walden School studying under Dr. Herbert Makin. In 1930 had three lessons from Dr. Tootell at Marble Arch Pavilion. At 17 he became 'Music and All Trades' master at a prep. school in St. Leonards-on-sea. In the same year was offered a scholarship to the Royal Academy of Music but declined, sticking to school mastering (albeit not very successfully) until 1932.
for the opening. Besides normal duties the job included a daily recital of an hour. He succeeded Bobby Pagan at the Regal, Glasgow, where he stayed until he caught scarlet fever, Christmas 1935. Gerald was offered and accepted a job with, being posted to the Astoria, Brighton in March 1936. 'Stars in Battledress' In Britain, during the Second World War, entertainment was considered an essential to keep morale high. In 1939 ENSA was organised by Basil Dean to send groups of entertainers to factories and military camps. The artists in ENSA were civilians and consequently could not be sent to areas were fighting was occurring. This did not mean that they were in places where there was no danger from enemy action-the whole of Britain was a war zone due to the air raids. In order to get concert parties to forward areas, Stars in Battledress was formed. Talent existing in serving members of the army and ATS was transferred and sent to perform in any location, even on the edge of a battlefield. On release from service Christmas 1945 went to the Odeon, Manchester then to the Odeon, Swiss Cottage. Gerald Shaw was a well known broadcaster starting from the Regal, Glasgow from 1934 to 1936, then from the Paramount, Glasgow from 1938 to 1940. He also broadcast from BBC organ at St. Georges Hall London, and after the war the Odeon, Swiss Cottage. Louis Shaw was born 1907 in the Abbeydale area of Sheffield. At the age of four he was picking out tunes on the piano, he received early musical training from his mother. When he was seven he had lessons with Arthur Morrison. At twelve Louis joined the choir at St. Peters Church, Abbeydale, while there he became interested in the organ and was playing for services by the age of fourteen. He gained his L.R.A.M at sixteen and A.R.C.M. at seventeen. In the early twenties Louis joined his fathers orchestra. In 1927 he joined the Sidney Phasey orchestra at the Regent Super Cinema at Barkers Pool, Louis playing both the piano and Wurlitzer organ. The orchestra was disbanded but Louis stayed on to play the Wurlitzer. 1938 saw the end of the organ work at the Regent, Louis joined a dance band where he stayed until he was called up for military service. He served in the Royal Engineers from 1940 until 1945. After demobilisation he did free lance work until 1955 when he joined the Lyceum Theatre as musical director, staying there until 1968. When the Lyceum closed he played the clubs in the Sheffield area. He continued playing for dancing well into his eighties. Hal Sherwin opened the Rialto Cinema, York on November 25th 1935. 1960 playing at the Marco Club, Grantham. Reginald Simms was working for Gaumont British in 1946. Leslie Simpson had a childhood ambition to become a concert pianist. He sang as a boy in the choir of a North Country church, where his success as a chorister Rained for him the free gift of organ tuition under William Granger at St. Mark's Church, Broomhill, Sheffield. But he still clung to his desire to become a pianist, and it was not until the advent of the electric-unit organ that his mind turned towards playing the Theatre Organ. He was cinema organist at the Regent, Stamford Hill. (Taught Don Knights the art of the Theatre Organ on this instrument.) the Picture House, Leicester, the Grange, Kilburn, and played as guest organist at various leading London cinemas including the Trocadero, Elephant and Castle. On demobilisation returned to play for Granada Theatres. C. Slater was working for Associated British in 1946. Frank Slater started his career as an organist at an early age. He first accompanied a church service at the age of eleven, and two years later was appointed organist of two village churches near his home at Hucknall, Nottinghamshire. He was later appointed organist of Hucknall Parish Church. He held a number of cinema appointments, including the Marble Arch Pavilion in London and a number of provincial theatres. In 1935 he opened the Wurlitzer (replaced a Compton) at The Exchange Cinema, Northampton. In July 1939 broadcast from the Ritz Cinema. Hereford. Still broadcasting from there in 1942. 1946 working for Associated British. Mike Slater was born 1931 at Clay Cross, near Chesterfield. Mike began his musical education by having lessons with a local organist, this resulted in him becoming the full time organist at a local Methodist Church. His 'proper' job was as an apprentice in the print trade, this continued until he was called up for National Service in 1949, serving in Egypt. On demob he returned to the print trade but soon decided he wanted music to be his career. He purchased a two manual Jennings organ, this lacked the sounds Mike wanted so was replaced by a Rieg. He then embarked o0n a career playing clubs, pubs and hotels. An early member of the Cinema Organ Society he became Northern Secretary organising concerts in the local area. This gave him access to a number of fine instruments where he honed his skills. Mike enjoyed quite a long spell at the Hearth Hotel, Scunthorpe, where he also had a part time job playing for morning Minors Matinees at the Ritz Cinema playing their 3/6 Wurlitzer. Mike upgraded his organ again, this time to a Hammond C3. In 1977 the Blackpool Tower changed their organist policy, deciding to use a team of organists, Mike was hired as part of the team and they also hired the C3 as they wanted non-stop dancing and an electric organ was require to provide continuous music. During the winter when the Tower was closed Mike played the many clubs and societies up and down the country. As well as playing Mike had a reular column in 'The Stage' newspaper reporting on the organ scene, click the article links to read some of his articles. Charles Smart was born on the 4th December 1897 in Calne Wiltshire. Was winner at the London Musical Competition for organ solo in 1920 and gained A.R.C.M. for solo organ in 1921.. Recorded for Decca between 1933-38 and was with the variety department at the B.B.C. Had a small band known as the 'Moonrakers' where he played a Novachord. Charles appeared in 'Band Waggon', Kentucky Minstrels', Bandstand, Navy Mixture and Armchair Melodies. During the 1914-18 war served with the Royal Garrison Artillery. Eric Arthur Smith was born 1906 in Harpenden, St Albans. He Studied at Trinity College London. Played both church and cinema organ. Was a Professor at Trinity College, London. In 1936 was resident at the Granada, Bedford. Broadcasting from there regularly between 1937 and 1942. Dr Arthur W. Marchant. Dr Arthur William F.R.C.O. Opened the Palace Theatre, Wandsworth. Ernest Smith died 13th March 1946 in Wallasey. Helford F. Smith was working for Associated British in 1946 . Stanley Smith was born 14th January 1917. Played the piano from the age of 7, having taught himself to read music. On leaving school he managed to get some lessons on the 6 rank Wurlitzer at the Lozells Picture House, Birmingham. Later he deputised at this cinema on a Sunday evening. in January 1940. He served for 6 years. In 1942 was organist for service shows at the Capitol, Cardiff (playing Hammond) and the Odeon, Weston-super-Mare, as well as a few theatre in London. In September of 1943 was transferred to the Entertainments Branch of Southern Command, and a few months prior to 'D' Day was pianist in Southern Command's 'Command Performance' which gave over three shows a day to the invasion troops at a camp in Southern England. On return to civy street returned to the job of resident at the Victoria Cinema, Cambridge. Charles Smitton was born 4th November 1925 in Liverpool. Started playing the organ at about 10 years of age. His first appointment was when he was 15½ at the Curzon, Liverpool, where he succeeded his teacher Henry Croudson. He joined Gaumont British at Manchester, this was followed by the Gaumont, Worcester and the Gaumont, Wood Green. Possibly the youngest organist to Broadcast, he was on air regularly from the early 40s up to and including 1950. Charles Smitton died 18th January 1997 in Stalybridge, Cheshire. Assistant organist at Putney Wesleyan Church. Organist Wesleyan Military Church, Alexandria, Egypt, Onslow Baptist Church, South Kensington, St. Andrew’s, Chelsea. In 1927 he opened the Palace Cinema, Putney. He died 12th January 1969 Bexhill-on-Sea. Wilfred Southworth opened a number of cinemas including; Ritz Richmond, Hastings; Stockport; Savoy Northampton; Lincoln; Regal, Chesterfield and the Princess , Smethwick Drowned while on Holiday in Challaborough, near Ivybridge in 1938. Reported he had suffered a heart attack. 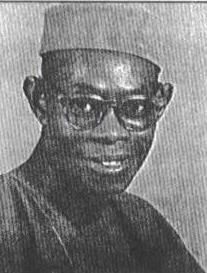 Fela Sowande was born 29th May 1905 in Abeokuta, near Lagos. As a child he sang in the Choir of the Cathedral Church of Christ. He studied at the C.M.S. Grammar School and at King's College, Lagos. He came to England in 1934 to study European classical and popular music. In 1936, he was solo pianist in a performance of George Gershwin's Rhapsody in Blue. He also played as duo-pianist with Fats Waller, and was theatre organist for the BBC as organist and Choirmaster at Kingsway Hall. Was a British composer. He composed both instrumental and vocal works for soloists, chamber groups and full choruses and orchestras. From 1945 until 1952, he was organist and choirmaster at the West London Mission of the Methodist Church. He was a dance pianist, dance band orchestrator, dance band leader and variety artist. He featured a rhythmic style of playing on the Hammond organ, recording several disks for Decca. He was a regular broadcaster before the war, his signature tune was 'Deep Purple'. He joined the R.A.F. in 1942, recording several entertainment discs of organ music for Forces overseas. During the war years took his Felowship of the Royal College of Organists. A composer of numerous pieces of music. His orchestral works include Six Sketches for Full Orchestra, A Folk Symphony, and African Suite for string orchestra. Fela Sowandie died 13 March 1987 in Ravenna, Ohio. H. Speed was working for Associated British 1946. In 1936 Gordon Spicer was playing at the Savoy, Northampton. 1939 Gordon Spicer was at the Royal, Dublin 1946 Playing Independently. ERIC SPRUCE will broadcast an organ recital from the Palladium Cinema, Paignton. When he was 22 he had his first appointment as a solo cinema organist at the Rink Cinema, Smethwick, and two years later went to the Gaumont Palace, Birmingham. Then to the Wolverhampton Super-Cinema. Further appointments followed at Birmingham and Bournemouth. And in 1937 he was elected warden of the cinema organists' section of the Incorporated Society of Musicians. While at Birmingham he did s considerable amount of broadcasting and this will be his first broadcast from the Palladium organ at Paignton. The Mousehole sixth summer festival of music will be broadcast from St. Clement's Hall. Mousehole, when those taking part will be: The Mousehole Male Voice Choir, Heddle Nash (tenor). Bernard Fishwick (baritone and Leonard Collins (conductor). These letters and telegrams make fascinating reading, so diversely are they worded. Some touching and others unconsciously humorous, for some of them are in dialect, and some even in broken English when a writer from abroad has felt so moved that lie must write, whether he knows the language or not. A telegram received seems to sum up in a few worth the thoughts of all, it reads: "Intelligence, culture, artistry, musicianship. Organ a revelation. Thank you, Eric." This is typical of the many more Mr. Spruce has received, from such divergent places as Belgium, Belfast, Cumberland, C. Durham, Kent, Aberdeen, Cornwall, and Devon, in fact all over the British Isles and abroad. A great deal of his time Is taken up in replying to the letters. He will be on the air on Friday. February 10, February 24, and March 8, in each case from 6 to 6.30 p.m.
Joseph Eric Spruce was born 13th November 1906 in Longton, Stoke-on-Trent. Studied at St. David’s Cathedral; pupil of Dr Fricker, Dr Haydn Recton. Eric gave a number of recitals at the Kings Hall, Stoke and Victoria Hall, Hanley. In 1930 he was engaged by Gaumont British at the Rink Cinema, Smethwick. From 1930 to 1933 played at Gaumonts Birmingham and Wolverhampton. He then succeeded Reginald New at the Beafort, Washwood Heath. He left Birmingham for Bournemouth in 1937 to re-open the Electric Theatre. From 1938 to the outbreak of the war was at the Palladium, Paignton; broadcasting from there in 1939. He joined A.B.C. in January 1940 at the Savoy, Portsmouth. During the war he spent five years as a sergeant fitter in the R.A.F. On demobilisation was appointed to the Westover, Bournemouth. This biography has kindly been updated by Eric's daughter Shirley Bakker. He played at four Royal Command Film Performances at The Empire; alternating with The Odeon, Leicester Square. He had been broadcasting for the BBC since 1931, and this continued. Dad did all the links between films etc. He succeeded Felton Rapley in 1948, who went to the U.S. In 1956 my father and mother took over the Royal Swan public house in Blackwater, Hampshire. Dad continued broadcasting regularly until about 1960 on the BBC Theatre Organ. They left the Swan in 1968 and retired, but Dad began teaching at the Arthur Lord studios, part-time for fun. He really enjoyed his group lessons, but the mixed abilities of the group were taxing for the teacher! He had a long and happy retirement, playing golf the piano and the Hammond organ at home. Herbert Steele was born in Bolton-by-Bowland, Yorkshire. He received his first instruction in the elements of music from his father, a noted teacher and musician in the county. He spent he spent his boyhood years as a chorister at the Church of St. Lawrence, Morecambe. He was successful in gaining all the important prizes at the various musical frestivals and competitions in the North. His next engagement was as pianist and accompanist at the Morecambe Central Pier Concerts, which post he held for three seasons. He then fulfilled the position of musical director at the Alhambra. Morecambe: Opera Rouse. Stockport; and Hippodrome. Bolton. Please contact us via support@britishnewspaperarchive.co.uk if you wish to claim rights to this title.. He was playing at the Picture house and Rialto Cinema's Liverpool in 1930. He made his first broadcast from the Palladium Cinema Southport on the 16th June 1937, he made a number of broadcasts on the organ. He is documented as playing the the organ St. Andrew's Church, Southport for the Southport Sportswomen annual service, and for weddings. He was the last resident organist at the New Victoria Cinema, Bradford. And he also made the last ever broadcast of the New Victoria Cinema Wurlitzer organ by the BBC on Thursday 2nd May, 1968. Peter Stevens was born 8th September 1928. Peter was appointed organist at Wellow Parish Church in 1942, St Paulinus Church, New Ollerton in 1942. Appointed as house organist for the Granada, Mansfield in 1944 then made resident at the Regal, Derby in 1945, also playing the Ritz, Nuneaton. Reginald Stone was born 28th Dec 1910. He held numerous theatre organ posts, these included Gaumont British, County Cinemas, Granada Theatres, A.B.C., Joseph Mears Theatres. Later better known for playing the Hammond organ and was one of the first to introduce the organ to a British audience. In 1950 he visited Victoria, on the West Coast of America, moving there permanently in 1955. CJVI In the old days CJVI 'was' Victoria Radio, a mix of old dance tunes, quiz shows, CBC feeds, and syndicated radio shows. Everyone listened to CJVI and heard the Hometowners playing from the stage of the Dominion Theatre; listened each morning to Al Smith on the piano; heard the news two or three times a day. CJVI broadcast from the top floor of the Central Building, and later moved to Fort Street. radio as organist on 'Rolling Home Show' and was a teacher at 'Bernie Porters Music Studio'. He opened a music studio, first on Broad Street in 1966, later moved to Quadra St. After selling the business in 1975 he rejoined Bernie Porter's Music. Reginald Stone died 16th June 2003. In 1954 - 55 he was at the Ritz Leeds. Kenneth Edmund Stow was born 26th Jun 1914. Began playing the piano at the age of 5 and for many years studied with Madam Eileen Anjelkolvitch, Madam Russel Worby and Miss Mabel Worby . Kenneth gained three years free scholarship to Trinity College of Music. Studied under Dr. John Warrender, Dr. Hurd and Miss Crawford-Phillips. He secured an appointment at the Brook Green Hotel, Hammersmith, and during the latter part of two years there was able to secure practice at the Gaumont Palace, Hammersmith. In 1934 he was appointed to the Wylde Green Pavilion, Birmingham, remaining there until 1940 when he was called up for military service. After a spell in England he saw service in Egypt and fought in Crete, where he was taken prisoner. When he was in Egypt he had broadcast as pianist on the Forces program. Kenneth was liberated on the 8th of May 1945, arriving home on the 14th May. He rejoined A.B.C. on the 1st April 1946 at the Forum, Fulham. Kenneth E. Stow died in 2000. Horse Fair The name of the district. , Birmingham. Two years later he obtained his first appointment as an orchestral pianist, playing at a number of Birmingham cinemas. For a time he was also with one of the big steamship companies. Harold opened and spent six and a half years as organist at the Piccadilly Cinema, Birmingham before moving to the Savoy Cinema , Exeter. Broadcast from here in 1937. 1946 working for Associated British. Kenneth William Stroud was born 30th November 1923. He studied under Walter Marshall, Frank Wright and Harold Honess. Kens first professional post was at the Globe Cinema, Clapham Junction. This was followed by the Rialto, York; Ritz, Potters Bar and Commodore, Slough. He then took an appointment with Granada Theatres where he stayed until joining H.M. Forces. Ken served in the Royal Armoured Corps at home, Africa and Italy. Just before V.E. Day he was posted to the Central Pool of Artists. He did over 600 performances with them, broadcasting on the British Forces Network in Italy and Austria, Ken was mentioned in American dispatches for entertaining in front line areas. Arthur Subury was born in City of London. He studied at Christ Church, Newgate Hill. Arthur spent eight years with Paramount Theatres before moving to A.B.C. Mr. James Swift plays his last organ interlude at the Paramount, Leeds to-dat. He has presided at the mighty Wurlitzer there for nearly two years, and is leaving to take a similar appointment at the Troxy, Stepney. Mr. Swift was taught by his father, who lost his sight when he was eight years old. The disability did not prevent him continuing his studies however, and at 17 he became organist at Bedale Parish Church. Later he went to St. Georges, Camberwell, and James Swift, who was then eleven, assisted him. Apart from four and a half years spent with the colours during the war, Mr. Swift has had an unbroken career as an organist since he was nine. He has played all over the British Isle, and now goes back to the city in which he got his first important cinema appointment. James Swift was taught to play the organ by his father. He started hi musical career at the age of nine. James spent four and a half years serving his country. 1937 broadcast from the Paramount, Leeds and the B.B.C. Theatre organ. In March 1937 he moved from the Paramount, Leeds to the Troxy, Stepney. William Sykes was born on the 7th Oct 1889 in Mirfield, Yorkshire. He recieved his musical training under Sir Edward C.
Studied the organ with John Farmer at Balliol College, Oxford, and while articled under Frederick Bridge of Westminster Abbey received tuition from Walter Alcock. He studied organ and theory at the University of Durham, receiving the Bachelor of Music in 1894, and the Doctor of Music in 1901. After holding posts in London, Wigan and Leeds, he served as organist of York Minster from 1913 to his death. Notorious for his terseness and bluntness, Bairstow did not always endear himself to others. William spent 16 years as organist and choirmaster at the Parish Church, Staincliffe. I. S. M. The Incorporated Society of Musicians (ISM) is the UK's professional body for musicians and a nationally recognised subject association for music. Since 1882 they have been promoting the importance of music and protecting the rights of those working within music. and the Royal Society of Teachers. William joined the army in 1916, but before being sent overseas, was appointed organist at the Garrison Church, Fulford, York. While in York he organised many concerts for the troops at the various Y.M.C.A. huts and rooms in the city. After demobilisation was appointed to the Crescent Super Cinema, Leeds as organist and musical director, staying for 12½ years. In March 1933 he left Leeds to take up the position of organist at the Majestic Cinema, Cradley Heath. Leslie Taff opened the Tower Cinema, Bromwich in December 1935, and the Regal Cinema, Darlaston, in 1938 1946 Playing Independently. Alex Ferguson-Taylor was born in Glasgow, brother to Jack Courtnay (John Ferguson-Taylor) he studied at the Atheneum, Glasgow. By the age of eight was a paid curch organist. During the 1914-18 war was a Royal Maine bandsman. Served on H.M.S. Cornwallis, (torpedoed) and H.M.S. Bacchante. After demobilisation went to America where he appeared at Fox Theatre, Washington; Shea's Buffalo, Buffalo; Zarings Egyptian, Indianapolis; The Million Dollar Grand, Pittsburgh; plus many others. On return to the UK opened the Davis Theatre, Croydon; Granada Theatres, Maidstone, Tooting, and the Elephant & Castle; Empire Theatre Coventry; Ritz CinemasOxford and Tunbridge Wells. Made recordings on the Decca label on the Compton, Davis Theatre Croydon; Wurlitzer, Granada Tooting; Christie, Granada Walthamstow. Made radio broadcasts for W.M.A.K., K.D.K.A & W.K.B.F. in USA and BBC in UK. Made Pathe films with the tenor Frank Titterton. Jack Taylor designed and opened the Regent Cinema, Poole Christie organ. J. I. Taylor opened the Beaufort Cinema, Birmingham; Playhouse Cinema, Folkstone and Regent Theatre, Swindon. Played the The New Victoria Cinema, Edinburgh. 1940 at the Gaumont Chester 1946 working for Gaumont British. Lloyd Thomas was born in 1901 in South Wales. He was 14 when he got his first appointment, assistant organist at St. Georges Garrison Church, Woolwich. He moved on to become organist at St. Margarets Church, Plumstead. Lloyd Thomas was a pupil of York Bowen at the R.A.M. for three years, passing the A.R.C.M. and L.R.A.M. for solo piano. He went on to become a music master at a secondary school, he disliked teaching so left to join a musical act as pianist. Extensive tours followed, including Australia and South Africa, the Continent and all parts of the British Isles. His first cinema job was opening the Majestic, Wembley, in 1929. After a few months he moved to the Broadway, Stratford, where he remained for 2 years. In 1931 he moved from Stratford to the Davis Theatre, Croydon, playing the large four manual Compton there, he stayed for three years. In 1934 Lloyd Thomas joined the Granada Circuit, and with the exception of 4½ years in the R.A.F. stayed with them. Lloyd Thomas made his first broadcast in 1936 and was a regular on the radio. in 1937 he opened the Granada Theatre, North Cheam. November 1934 - 35 Stephen Thomas broadcast from the Empire Theatre, Cardiff. This is the only reference to Bill Thompson found on the internet. Donald Thorne, well known as a broadcasting organist and pianist since the 1930s. died in Mount Vernon Hospital. Northwood. Middlesex. on Saturday. December 23, after a long illness. He was 65. At the height of his successful career as an organist with Granada cinemas, Donald James Dean Thorne had a big following, due as much to his inimitable style of presentation of his interludes as to his musical prowess. In those days he was billed as &The Cheeky Chappie of the Organ,& but after war service in the army he toured the Granada circuit as the pianist in " We Two in Harmony, " with Harold Britton at the organ, and his billing then was " Radio's Maestro of Melody. " Shortly after the war he also gave a number of two-piano broadcasts with Winifred Atwell. For a time on leaving the cinema world he played an electronic organ at the Empire Pool. Wembley, and in more recent years he has appeared at various seaside resorts and in clubs and other establishments. Donald Thorne had a number of successful compositions to his credit, including the march &Empire Games.& a novelty intermezzo called &Dots and Dashes,& &Paradise Island.& And various other light pieces. A hymn tune which he composed was played by Harold Britten at the funeral service at Pinner Parish Church on Monday afternoon. He was twice married, and leaves two sons and a daughter. In 1937 Donald James Dean Thorne opened the Granada Theatre, Greenwich followed by the Granada Theatre, Clapham Junction in 1937 1946 Playing the Granada Circuit. 1951 playing at the Capitol Cinema, Aberdeen. Norman Alfred Tilly was born in 1903 in Forest Gate. He opened the Pavilion Cinema, Reading. Was resident at the Ritz Cinema Bowes Rd and also played the Savoy, Burnt Oak. As well as cinema organ he played the organ at Christ Church, Waterfall Road, N14. Frederick Rowland Tims started his musical career began as a chorister at the Cathedral of Truro. He became articled organ pupil then assistant organist from 1902 to 1907. 1909 he was credited as organist at the Horsham Musical Society production of "Hiawatha". He was organist of Horsham Parish Church (February 1911 mentioned in an article as having given an organ recital there.) then of Croydon Minster. In 1923 became a concert organist, touring theatres with a large transportable pipe organ owned by Harvey Bathurst. In 1932 he was playing the Compton at the Regent, Edgware. In 1935 - 36 he was at and broadcast from the Paramount Theatre, Liverpool. On the 4th October 1937 opened the 4 Manual 11 Ranks Compton at The ,Ritz Cinema Birkenhead, broadcasting from here December 1937. 1938 he broadcast from the Ritz Cinema, Birkenhead. 1939 he broadcast from the Capitol Cinema, Aberdeen. Dec. 1947 He broadcast from the West Church of St' Andrew, Aberdeen, accompanying a choir of 55. Arthur Tipper started playing piano at eight years of age. By the age of nine, he was playing for the Sunday School and at eleven held a post at a church in Scropton, Derbyshire. A couple of years later he became a member of a group playing regularly for dancing. This was followed by playing piano in a Royal Engineers' dance band during his National Service and, following this, Arthur played tenor saxophone and piano in a fourteen piece band until the 1950s. In addition to playing piano and electronic organ, Arthur has been playing the Mighty WurliTzer at Burton Town Hall since it's installation in 1973, for concerts, dancing and Civic functions. He has also featured the instrument on BBC1 TV and BBC Radio 2, together with several local radio programmes. He also holds a Diploma in Church Music and works freelance around many of the local churches. Apart from playing in the UK, Arthur has also given recitals in Germany and Russia. 1932 he was billed as pianist at the Boxhill Colonade playing orchestral works and as accompanist. In 1934 he opened the Astoria Cinema, Aberdeen where he stayed until May 1939, leaving reputedly after a disagreement over the number of classical items in his interludes. After leaving the Astoria he is said to have taken a job in an Aberdeen paper mill. In 1949 he was still taking part in musical theatre playing piano. Belfast News-Letter - Monday 30 January 1939 Image © Johnston Press plc. Image created courtesy of THE BRITISH LIBRARY BOARD. In 1937 he provided the organ music sequences for the all Ulster film 'Devils Rock'. George Tootell was born in Chorley, Lancs. He was a pupil of Dr. Haydn Keeton at Peterborough Cathedral. George was organist and choirmaster at a number of parish churches. George was solo organist at Palace Accrington; Stoll Picture Theatre, London; Picture Houses at Douglas, West End & Birmingham; Regal cinemas at Marble Arch & Douglas. He Toured Germany, Austria And Czech-Oslovakia. George published a number of compositions, 16 for piano and 10 for organ as well as a number of Part Songs. He published 'How to Play the Cinema Organ' in 1927. Oh! Johnny, Oh! Johnny, Oh! Sidney Torch started playing professionally for the Lyons Corner Houses chain a week after leaving school, aged 14. At the age of sixteen he became a conductor, he was touring as pianist for musical comedy show, the conductor went sick, Sidney was told to get on with it. Sent over by Wurlitzer to England for the installation of this organ and to demonstrate how it should be played and to teach English people how to play it. In 1927 he made four recordings for the Brunswick label on the organ. Mighty lak' a rose, Love's old sweet song, Absent & Because. who told him to learn to play the organ. Sidney used to stay night after night experimenting and practicing, teaching himself how to play the organ. The main role of the organist was to provide entertainment when the film broke, unfortunately by the time the organ had been switched on and up to speed the film was repaired and there was no need for the organ, Sidney was not needed. Archie introduced Sidney to Quentin Maclean who was playing at the Regal (Odeon) Marble Arch. Sidney got the job of pianist and assistant organist at the Reagl as a result. Sidney was at the Regal for six years, first as assistant to Quentin Maclean then Reginald Foort. When Foort left he was given the job as organist. During this period he started broadcasting, getting up at 2 in the morning to get to London to play the BBC Wurlitzer. After the Regal MArble Arch he moved to the Regal Edmunton playing a Christie organ. That was followed by a move to the State, Kilburn. In the first six months of the war Sidney left the world of the cinema organ and joined the Airforce. He never returned to playing the organ. W Wharton Trevitt had his own dance band, playing in the Lincoln area. May 1944 - January 1946 was playing at the Savoy, Lincoln. Stanley Tudor started his career as deputy then organist of a North Staffs. Church. Whilst at school won many prizes for his piano playing. On leaving school at 14 became solo pianist at the Capitol, Hanley, broadcasting every day on the Stoke-on Trent relay station. Stanley then moved to the Hippodrome as organist. At the end of 1931 he gave up his church organ position and toured Gaumont British theatres in London, his base theatre being the Gaumnont, Hammersmith. He opened the Gaumont, Manchester and was there when he received his call up to the R.A.F. Whilst serving he was attached to an orchestra and did many orchestral concerts, later being attached to Ensa 'Good Music Section'. At the end of the war returned to the Gaumont, Manchester. December 1960 was taken on at the Ice Stadium, Altrincham, having previously played at the Derby Roller Rink and the Ice Stadium, Cheetham Hill. THE BRIGHT lights are to go up again outside a Scarborough cinema which screened its last film more than half a century ago. The North Bay Cinema, which originally opened in 1914, became a garage in 1928. Now Scarborough hotelier Arthur Turner, a former cinema organist, and cinema organ collector, has bought the property and intends to reopen it this summer as the 300-seat Hollywood Plaza complete with American soda fountain. From 1946 to 1956 Turner played the organ at the Art cinema in Bury, Lancashire. Later he and his wife owned a couple of village cinemas in the Bolton area before becoming hoteliers in Scarborough. They intend to run the new Holly wood Plaza as a family cinema. Neville Turner started learning the organ at the age of 12 years. and at 13 was deputy-organist of St. George's church, Sheffield, where he presided at a three manual instrument. At the age of 14 Mr. Turner was appointed organist at Darnall parish church. Sheffield, holding this position for eight years. When he was 22 he went to St. Bartholomew's church. Carbrook, as organist and choirmaster, being chosen out of about 50 applicants, and later he, too, turned his attention to the cinema organ, taking up a position in this connection at the Regal theatre, Great Yarmouth. Then he moved to the Palace theatre, Ramsgates and subsequently to the Savoy cinema, Limerick. Irish Free State, returning to England as solo organist at the Lyric cinema, Wellingborough. December 1936 opened the Lyric Cinema, Wellingborough. Brett Valliant is an American organist in demand for his ability to perform many different genres of music on the instrument he loves. Whether at an organ in a concert hall, a majestic church organ on Sunday morning, a mighty Wurlitzer in a theatre, or a Hammond B-3, Brett is right at home. Critics internationally have defined his performances as exciting, refreshing, unorthodox, and astonishing. Brett was inspired by the organ at church when he was just three years old. He soon excelled at the piano, but that early love of the pipe organ propelled him to his position as a full time church musician at the First United Methodist Church of Wichita, Kansas, a post he has held since his teen years. While at the church he plays a large and unique Schantz pipe organ and oversees a music department seen by thousands across the Midwest on the church's television programs. Brett studied organ at Wichita State University. At fifteen, he played his first Wurlitzer and exhibited a natural talent for the popular music loved by fans of theatre organ. In the world of silent film, Brett is known for scoring and accompanying many films but is best known for dramatic films. Brett has three solo recordings to his credit as well as a number of studio projects with other musicians. Rae Victor was born in 1900. He recieved his early music education at the Norwich School of Music. He studied organ under Dr. Edward Bunnett. Later he resumed his pianoforte studies at the Tobias Matthay School, London. His first cinema appointment was at the age of 17. He joined Gaumont British in 1927 then in 1935 he joined A.B.C. In 1946 he was playing at the Elephant & Castle. Douglas A. Walker was born in 1912 in Liversedge, Yorkshire. Douglas commenced his music studies at an early age, entering the Leeds College of Music at 10 years of age, gaining diplomas with honors from both the Royal Academy and Royal College of Music for the pianoforte. Charles Stott Charlie Stott was born in 1871 in Cleckheaton and he was organist at All Saints, Horton Green from 1897 to 1953. He had been trained at Royal Conservatorium in Leipzig, where he played for Brahms. St. Pauls The pipe organ was dedicated on April 30th, 1889 and built by Messrs Bradley and Foster of Sheffield. It was one of the earliest known organs to be fitted with the then new tubular pneumatic action. His first cinema appointment was at the Palace, Poole, this was in the days of silent films. He moved on to play at the City Cinema, Leicester; Regent, Swindon; Gaumont, Exeter; Regal, St. Leonards and Plaza, Worthing. Douglas then joined Union and toured the country as part of Harold Ransey's team. This period was followed by appointments at the Luxor, Eastborne and Capitol, Aberdeen. He then re joined A.B.C. at the Ritz Theatre, Nuneaton. He made his first broadcast on June 26th 1939. Douglas volunteered for the R.A.F. as an air gunner, he was later grounded and then saw active service in France, Belgium, Germany and Czecho-Slovakia as a mobile wireless operator attached to Radar section. Demobilised in 1946 he returned to the Savoy, Brighton. 1946 Playing for H.M. Forces. Raymond Wallbank played Sun Lounge from 1965 until 1995. Wallbank found a particularly happy and expressive outlet for his considerable talents. Seated imperiously at the console of his favourite Wurlitzer (electronic, not pipe so maybe this should be under the electronic section, decided on both), a smaller, more sophisticated model than the one in the nearby Tower, he played popular and light classical music that attracted a large and loyal following. While continuing to perform, in 1970 he opened his own highly distinctive music shop in neighbouring Ansdell. 1923 listed as a professor of music in Kellys directory. Living in Congleton, Cheshire. c. 1934-36 resident at Regent Theatre, Ipswich. H. Ward opened the County Playhouse Wigan on 24th December 1930. Opened the Rialto Cinema, Birmingham 1946 working for Gaumont British. Fynes Pierson (Spider) Webber started his musical career at the Cafe Royal, Regent Street in 1928. His first theatre organ appointment was as assistant to Sandy Macpherson at the Empire. He went on to play the Emelka circuit, Germany followed by the Forum, Fulham then the Kensington, Granada and Union cinema tour. Served in the R.A.F. as a Flight Lieutenant, and was pianist in the R.A.F. String Orchestra. Broadcast from West Deutche, Rundfunk. Leo Webber was born in America. In 1934 played the Granada, Tooting. He was also a guest artiste at the Granada Theatre Tooting in 1933. A year or so later she became resident organist at the Kingsway Cinema, Hadleigh. , who appointed her organist for Radio-Rodeo, a show with which she went on tour. On returning to London she broadcast at the BBC theatre organ, an unusual honour for only two other women organists Ena Baga and Enas' sister Florence de Jong have played on it. Dave Wickerham was born in Encino, California in 1962. He began playing the electronic organ at the age of four and had his first pipe organ experience at age 10. His musical education started at age 7. When he moved to Arizona in 1976, he became Associate Organist at the famous Organ Stop Pizza Restaurants in Phoenix, Mesa and Tucson. While in Arizona, he continued his musical studies with Roseamond Crowley. He attended the University of Arizona in Tucson on a full scholarship, pursuing classical organ studies for six years with Dr. Roy Johnson. In 1984, Dave moved to the Chicago area to become Staff Organist at Pipes and Pizza in Lansing, Illinois. August of 1990 he was one of the featured Staff Organists at the Piper Music Palace in Greenfield, a position he held for 10 years. In the spring of 2000, Dave ushered in the new millennium with a limited special engagement, as a featured organist at "Roxy's Pipe Organ Pizzeria. For the next three years, Dave resumed his position at the Piper Music Palace and was also the Principal Organist at Williams Bay Lutheran Church in Lake Geneva, WI. Pearl White was a respected silent-era theatre organist and piano player who worked in the Chicago area. 1939 Ronald White was playing a LaFleur organ at the Essoldo, Newcastle. Before taking up the post at the Essoldo Ronald had been organist and choir master at the Westgate Congregational Church. James Whitebread was born 20th July in Finchley. Commenced his musical training at an early age and by 9 years of age was accompanying church services. Was an English music teacher, composer and musicologist. He is best remembered as an influential teacher at the Guildhall School of Music in London, where he taught for 64 years, from 1887 to 1951, as Professor of Pianoforte and Composition. Held positions at St. Peters Church, Highgate; Crouch Hill Presbyterian Church; Camden Road Presbyterian Church; Finsbury Park Congregational Church and Upper Holloway Baptist Church. He was a pianist and accompanist prior to the war. He served two years full time in the rescue service of the London Civil Defence. During this period he appeared at the Gaumont, Holloway, and Forum, Kentish Town. Invalidid out of service in 1944 he was appointed to the Metropole Theatre, Victoria in January 1945. Doug became the organist at the Gaumont Manchester. Arthur Hamilton Wilding was born 25th February 1901 in Accrington. Trevor Willetts was born in Tingle Bridge, Barnsley. 1943 & 1962 at the Ritz Cinema, Barnsley. Cecil was trained in piano and organ, and was taught cinema organ by Sydney Gustard. Performed in a silent picture orchestra at the age of 17. He went on to play in ships orchestras, hotel bands and variety orchestras. In 1935 he was employed as a cinema organist, in 1946 at the Palladium, Southport. Charles Willis was resident organist at the New Gallery in Regent Street and the Leicester Square Cinema during the war years. On the 15th September 1930 along with Josephine Bradley he opened the Granada, Walthamstow. William Whittle opened the Gaumont, Dingle. And was for many years resident at the New Victoria, Preston. In 1933 W. Winder-Killip opened the Compton organ at the Picture House, Douglas, Isle of Man. In front of the stage is the console of the great cinema organ. This console is illuminated, and it rises above the level of the stage. As this would interfere with projection, and also with stage entertainments, the console is caried on a rising platform, which can he lowered out of sight in an orchestral well, simply by the operation of a switch by the organist. The organ is a notable instrument, and is fitted with a "melo-tone, " one of the latest devices for sound reproduction, and one that those concerned with sound effects set great store by. This organ requires ten miles of electric cable. and it is capable of being played as a cathedral organ, or of reproducing the music of a dance band or a full symphony orchestra. The " melo-tone " is an electric apparatus, of British invention, and by means of it varying tone colours can be obtained without the use of pipes or wind. Its sound effects are very beautiful, and the organist, Mr. Harry Wingfield. will demonstrate it specially. Mr Wingfield, who has arranged a special musical programme. Hello. Bangor!" for the opening week, with appropriate Coloured slides to illustrate it, has had considerable experience with cinema organs. He recently opened the Regal organ. Stockton-on-Tees, and has been organist for Odeon Theatres and for Associated British Cinemas. The organ grilles are placed one on each side of the auditorium, and are formed with fibrous plaster decorated in the same manner as the walls. Henry Holmes Wingfield was born 1893 in London. Assistant Organist St. Matthew's, Wimbledon in 1911 and St. Anne's. Wandsworth in 1912. Organist at St. Luke's, Wimbledon Park, 1913-4, Christ Church Surbiton 1914-5, Parish Church Old Maiden 1915-6. Sub-Organist St. Mary Abbotts, Kensington 1917-8. Assistant Organist St. Luke's, Redcliffe Square, S. Kensington 1916-8, St. Matthew's, Surbiton, since 1918. Music and Scholastic Master, London College for Choristers 1915-6.Music Master Brightlands College Dulwich from 1916. Music and Scholastic Master. University College (Preparatory Branch), London, 1918-9. July 1936 opened the Tonic Cinema in Bangor. Winifred Rhea Reid was born in Halifax, England. By the age of fourteen she had achieved A.V.C.M. & L.V.C.M. In 1950 she moved to Canada to be with her husband. In Canada she played electronic organs in a variety of hotels in Toronto and around Ontario, and in particular in Sudbury, where for a number of summer seasons, she had her own half hour request programme, three times a week, on CKSO-T.V. Image © Local World Limited/Trinity Mirror. George Wright was born on the 28th August 1920 in Orland, California. George Wright learned to play the piano at an early age from his mother who was a private music teacher. She was also a theater organist playing for silent movies. In 1938, George had his first playing job at a Chinese night club in Oakland, called the Shanghai Terrace Bowl, which boasted a 2-manual, 6-rank Wurlitzer. In 1941, he joined San Francisco radio station KFRC and performed at the Fox Theatre on Saturday nights. In 1944, he relocated to New York City to work as organist for NBC radio. He began recording at this time, first cutting 78 RPM records for Syd Nathan's King Records. In 1948, he signed on as house organist for the Paramount Theatre in New York. In the 1960s, Wright became the studio organist (and eventual musical director) for the soap opera General Hospital. During his long career, George Wright played a key role in reviving interest in theatre organ music. He recorded more than 60 albums, some of which sold more than a million copies between the early 1950s and 1960s. Wright was the first act signed to Hi-Fi Records and recorded 20 albums as their featured organist in the late 1950s and early 1960s before switching to Dot Records in 1963. Stanely Wylie was born 1st August 1921. He studied for three years full-time under Arthur Jackson A.R.C.O. in Newcastle-on-Tyne. His first cinema appointment was with Blacks Regal Theatre, he stayed there for three years then moved to the Regal, Torquay. In 1941 he joined the R.A.F. and when on service broadcast from Brussels. He was appointed resident organist British Forces Network, Hamburg in March 1946. Demobbed in 1946 and returned to the Regal, Torquay. Jesse Frederick Joseph Yates was born 20th December 1918 in Tyldesley, Lancashire. Studied piano for three years under William Barrow at Llandudno, then studied theatre organ under Mons. F. Tribel, Belgian organist, at the Arcadia Cinema, Colwyn Bay, North Wales, whom he succeeded. During 1936 he appeared as guest organist at the Gaumont Palace, Chester, during the absence of Sydney Gustard. In 1937 he joined Odeon Theatres Ltd. and Played at Llandudno, Swiss Cottage and Bolton. Jess then spent some time in management, initially as relief manager and then resident manager at various halls. He returned to organ work in 1940. In the summer of 1940 he volunteered for the army. He was invalided out of service in 1944, spending a year in a military hospital, suffering from a severe eye complaint that consistently affected his sight for some time. Jess was involved in the formation of the Children's Film Foundation as 'Uncle Jess', he also made singalong records for children's Odeon Cinema Clubs. One of his greatest successes was Junior Showtime, a talent show for children that launched the careers of Bonnie Langford, Joe Longthorne, Keith Chegwin, Mark Curry and Rosemarie Ford. Jess Yates was particularly successful with his religious programmes. Choirs on Sunday (1968) was a forerunner to the hugely popular Stars on Sunday (from 1969), which Yates created, produced, directed and presented.